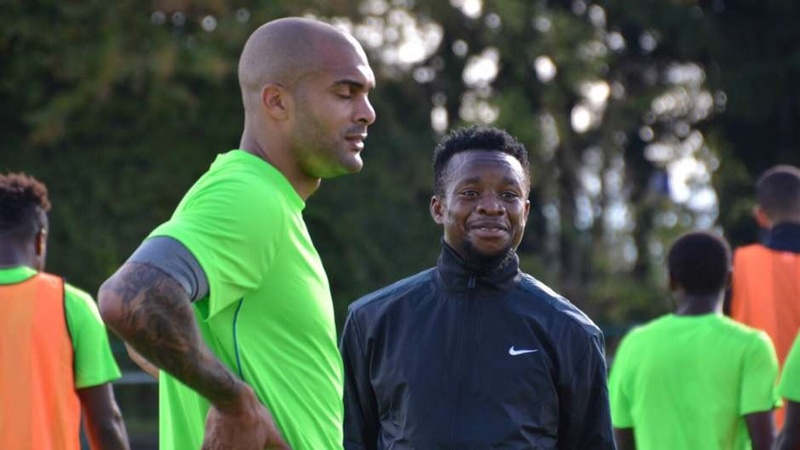 Lovers of football in Nigeria are keen to show solidarity and love towards the first choice goal keeper of the Super Eagles, Carl Ikeme, who has been diagnosed with acute Leukemia. The 31-year-old goalkeeper is set to begin his course of chemotherapy and will likely face a lengthy battle against the disease. The NFF expressed shock and dismay at the development even as they promised to stand by Ikeme in this difficult moment. A stunned NFF General Secretary, Mohammed Sanusi, was lost for words after the sad news broke on Thursday. “Our thoughts are with Carl at this difficult period. The NFF and the football fraternity in Nigeria are taken aback by this sad development, knowing how strong Carl has been in goal for Nigeria since he made his debut in 2015. “We have been told that he will start chemotherapy immediately. We want him to stay strong and remain the self –assured man that he has always been, and we will continue to pray for him and wish him the best with regards to the treatment,” Sanusi said. In the same light, Ikeme’s national teammates have all been showing solidarity. They also prayed for his speedy recovery.